If you don’t follow Simon Brundish on Twitter, you should! He’s top notch and provides smart Liverpool analysis based on facts, figures and statistics, rather than rhetoric. In a world where Richard Keyes and Andy Gray’s opinion on beIN Sport is tweeted daily, this shouldn’t be underestimated. 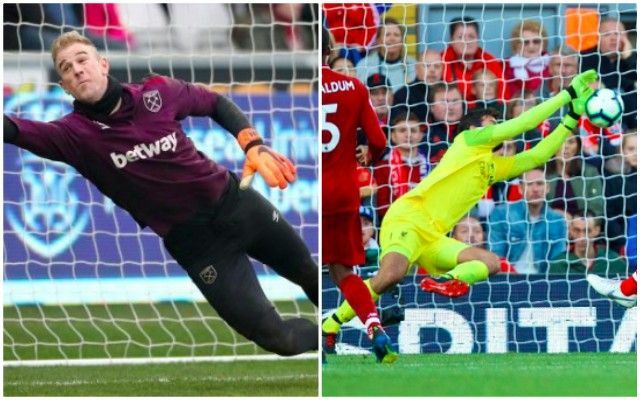 The only time Alisson has let in an effort from outside the box was Burnley’s corner – for which he was being fouled to such an extent it was outrageous not to have been given at the time. In fairness, this stat isn’t just on the Brazilian, but on the players in front of him, too. The ability of the defence to block shots, or just downright stop them from happening in the first place, is obviously incredible. Most of Alisson’s best saves have come from fairly close-range and he’s not actually been asked to pull off stunners from lengthier efforts on too many occasions. Unlike poor Joe Hart, of course!